In an age where leisure and lifestyle have taken on a new meaning, the Caravan industry Association of Victoria are proud to once again conduct the Bendigo Caravan & Camping Leisurefest to showcase the very best in caravans, recreational vehicles, 4×4 vehicles and accessories and lifestyle and outdoor camping accessories. 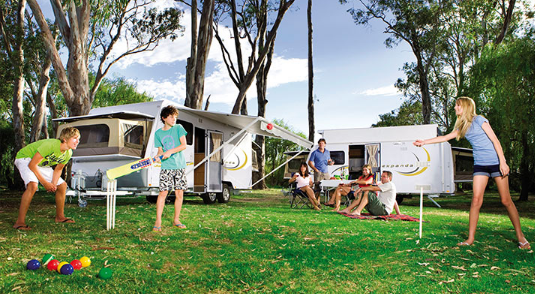 Bendigo Leisurefest 2018 will showcase more caravans, pop-tops, tents, camper trailers, 5th wheelers, motorhomes, campervans and 4×4 off road and touring accessories than ever. Many of these products will be on display for the first time, meaning visitors to Bendigo Leisurefest will experience them before anybody else! Plus there will be plenty of tourism information available from all over Australia so you can plan your next great adventure.